The U.S. National Transportation Safety Board (NTSB) is investigating the September 21 collision between a civilian drone and an Army Sikorsky UH-60 helicopter east of Staten Island, New York. At approximately 19:20 hours local time on September 21, the drone and the helicopter collided. 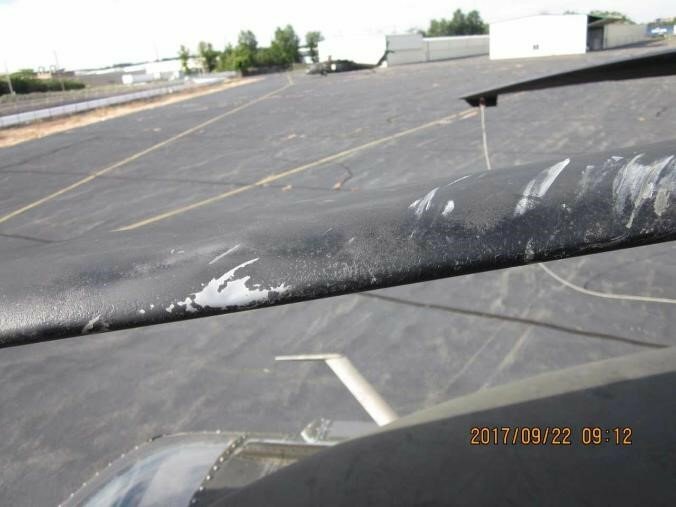 The Army helicopter sustained damage to its main rotor blade, window frame and transmission deck. A motor and arm from a small drone, identified as a DJI Phantom 4, were recovered from the helicopter. The NTSB was notified of the incident Sept. 22 and began its investigation that day. In the following days investigators were able to identify and subsequently interview the drone operator. The drone operator also provided flight data logs for the incident flight. The NTSB is investigating the incident because the drone was a civilian aircraft. DJI and the Federal Aviation Administration are participating in the investigation. The Army is conducting a mishap investigation. The NTSB’s investigation is ongoing and investigators are reviewing air traffic control radar data, flight data from the helicopter, the flight data logs provided by the drone operator and FAA airspace and temporary flight restriction documents.